Two and a Half Men. . HD Wallpaper and background images in the Two and a Half Men club tagged: two and a half men hq season 3 episode stills charlie sheen jon cryer. 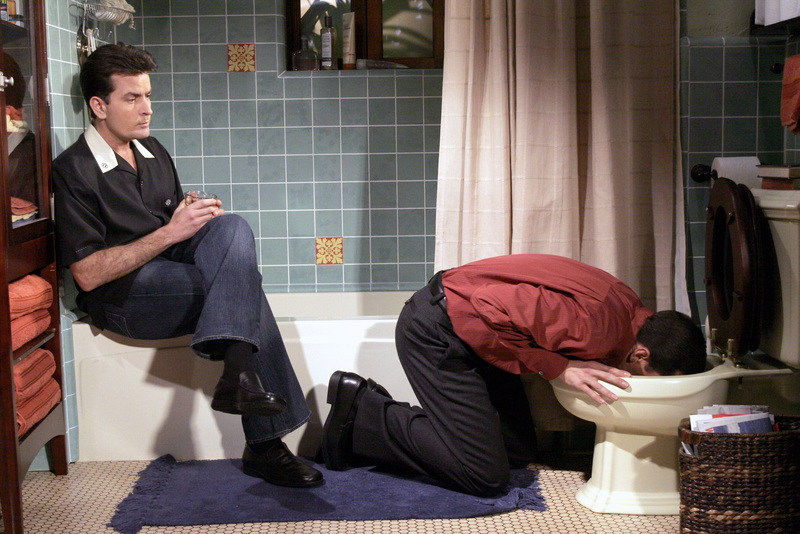 This Two and a Half Men photo contains bad, badezimmer, duschkabine, duschbad, and dusche. There might also be dusche, waschraum, herrentoilette, herren, herrenzimmer, and männer.